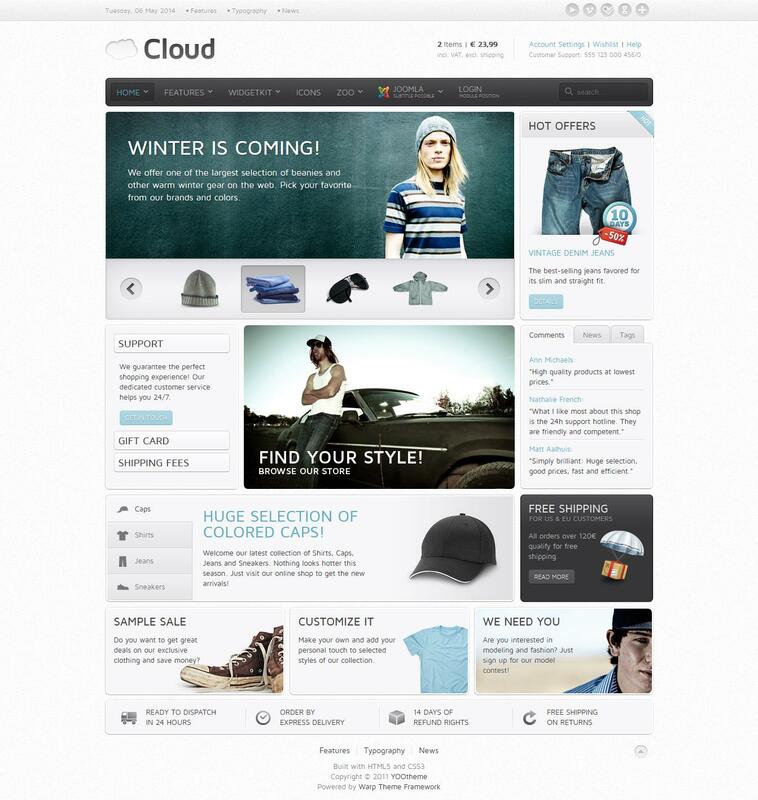 YT Cloud - October great template with a clean and light design combined with pleasant colors, will create a poster on the theme of e-commerce business website. A handy tool, a color background, textures and fonts, able to easily customize the overall style of the site in accordance with your requirements. In this assembly includes the latest beta version of the component WidgetKit, which were changed styles for galleries and slide - show. In addition, the developers have added a few new styles to display the navigation buttons to the slide - show. Fully compatible with Joomla 1.5 - 1.7.